In early February of this year, Arizona Senator Jon Kyl signaled his intention not to run for a fourth term. After over a quarter of a century in public service, the 68 year old declared that it was time to retire. 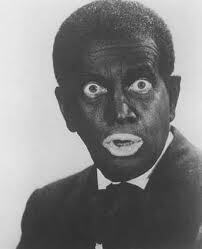 He did leave the door open to a possible Vice Presidential seat if he were so offered. As minority whip, Kyl is considered one of the top Republicans in congress and was a likely shoo-in for reelection. 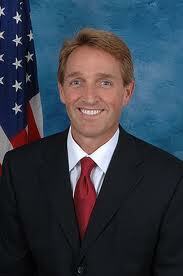 Sixth District Congressman Jeff Flake has already declared his candidacy for Kyl’s seat. Flake has a long family history in Arizona politics. His Uncle has already been a Senator and Flake was born in the town of Snowflake AZ; named after his great-great grandfather, Mormon pioneer William Flake. Jeff is considered a budget hawk and is well liked in Arizona. According to Politico, other possible GOP replacements for Kyl are former-Representative John Shadegg, Tucker Quayle (brother of Representative Ben Quayle; sons of former Vice President Dan Quayle), and J.D. Hayworth, who unsuccessfully ran for John McCain’s seat recently. All have expressed interest in running for the seat with the exception of Shadegg, who recently vacated the 4th District seat Ben Quayle now holds. He has remained mum on the issue so the speculation is likely from insiders. 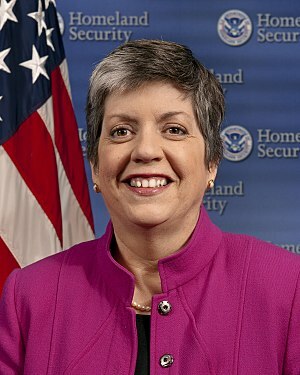 Among the potential Democrats, former Arizona Governor and current Secretary of Homeland Security Janet Napolitano is considered to be the heavy favourite to win should she decide to run. Her office, of course, has stated that she’s focusing the job the President asked to do as Secretary of Homeland Security. Also mentioned as possible contenders are Rep. Ann Kirkpatrick from Flagstaff, U.S. Attorney Dennis Burke, former state party chairman Jim Pederson, and former state Attorney General Terry Goddard. Term limited Mayor of Phoenix, Phil Gordon, has also expressed interest. Then, of course, there’s the wild card of Representative Gabrielle Giffords. Giffords had already declared she would consider running before the tragic events this past January if Kyl retired and there is much speculation that she would have a bit of a ‘hero’ bump as a result of her seemingly incredible recovery. 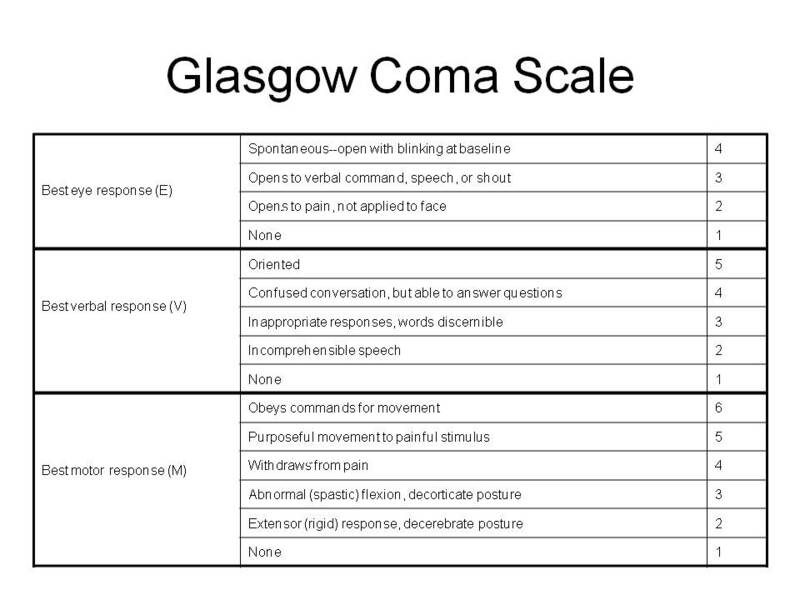 But the situation is not so simple in a brain injury scenario as 538Refugees own Monotreme points out in his most excellent article. Only time will tell if she is capable of not only running for but performing the job. And we can’t have this discussion without considering the Tea Party. Arizona has been receiving a fair share of negative attention lately, most notably for the immigration issue. The Tea Party has been front and center of the matter. The author of the controversial immigration law, State Senator Russell Pearce, is widely believed to be the likely candidate in that regard. Finally, not one to let a little national publicity go to waste, Maricopa County Sheriff Joe Arpaio has hinted that he might be interested in a run. He is currently campaigning for a sixth term as Sheriff and has stated that running for Senate is dependent on whether or not he decides to continue as Sheriff. Interestingly, a recent poll by the Summit Consulting Group determined that Arpaio had a lead over other potential candidates. The poll reported 21 percent of likely GOP voters would choose Arpaio; 17 percent would vote for Rep. Jeff Flake (R-Ariz.); 16.6 percent favored former Rep. J.D. Hayworth (R-Ariz.), who challenged Sen. John McCain (R-Ariz.) in the 2010 GOP Senate primary; 12 percent would vote for Rep. John Shadegg (R-Ariz.) and 6 percent would choose freshman Rep. Ben Quayle (R-Ariz.). This promises to be a hotly contested race. As Nate points out, the overall partisan orientation in Arizona isn’t all that clear. Obama didn’t perform well in Arizona in 2008 but then he was fighting the home team advantage of John McCain. Nate does posit that Obama would’ve had roughly 49% percent of the vote had McCain not been in the equation. 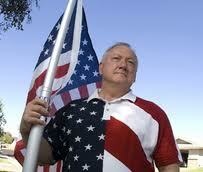 It’s also unclear what effect the immigration controversy and the Tuscon shootings have had on voter interest. Other factors include the rising Hispanic population (best guess is they vote Democratic. See Governor Jan Brewer and the aforementioned Tea Party candidate) and the rising population of largely white, Republican retirees. Gallup polling suggest the state is lean Republican as of 2010. Expect to see a large Democrat GOTV push for 2012. This entry was posted in Senate Seat Series and tagged Ann Kirkpatrick, Ben Quayle, Dennis Burke, Gabrielle Giffords, J. D. Hayworth, Janet Napolitano, Jeff Flake, Jim Pedersen, Joe Arpaio, John Shadegg, Jon Kyl, Phil Gordon, Russell Pearce, Terry Goddard, Tucker Quayle. Bookmark the permalink. Arizona has been receiving a fair share of negative attention lately, most notably for the immigration issue. How do you surmise that the attention Arizona has received regarding the immigration issue has been negative? This will be an interesting seat to see if the Democrats can pick up. Arizona has growing demographics in divergent sectors, so it may all come down to GOTV. The question really then becomes, which of these candidates for the Republicans or Democrats will most inspire voters to the polls? Not being from Arizona, I’m not sure which (if any) of these politicians inspires a following. 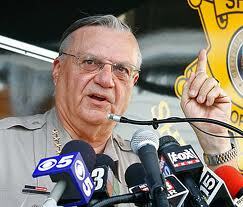 @Jon.. How do you surmise that the attention Arizona has received regarding the immigration issue has been negative? Because if you Google “cost to state of Arizona’s immigration law” you get some eye-popping data. This fun little bit of xenophobic self-indulgence has been very, very costly to Arizona. In fact, the state legislature just voted down some further anti-immigration laws, not because the Arizona Republicans have suddenly become better people, but because the immigration law has been so costly to the state coffers. All that dry heat must have a bad effect on folks. I recently talked with two locals that had moved to Arizona for the sun and the golf and the……well mostly the golf all year long that have moved back to our tundra challenged state and golf maybe 6 or 7 months of the year. Why????? Well one of them described the state as a political insane asylum and the other being less kind a political cesspool. Odd coments from two life long moderate Republicans………oops I see the problem…….never mind.